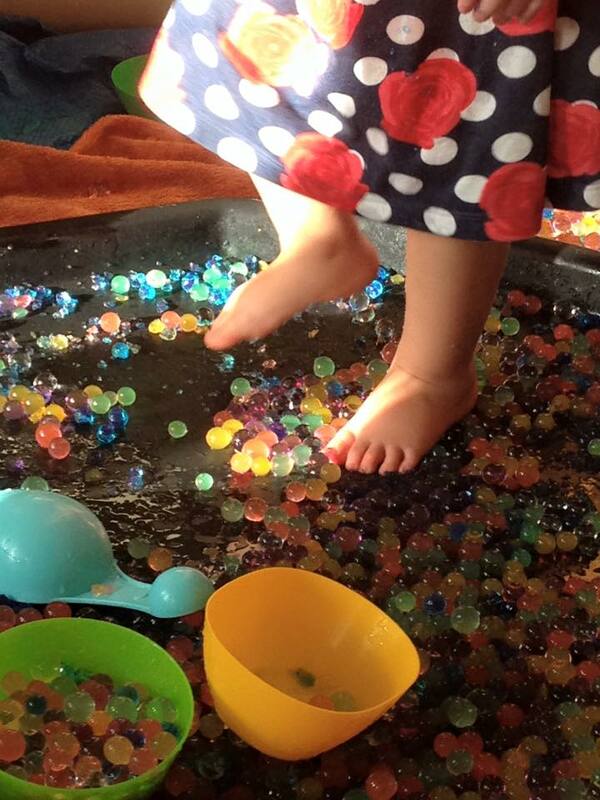 I know it's not just me who thinks sensory play is the best thing ever! Lots of you do as well and so my guest blogger today has organised some fantastic baby and toddler sensory play ideas into each category. Meet Katie from Sensory Sensations. 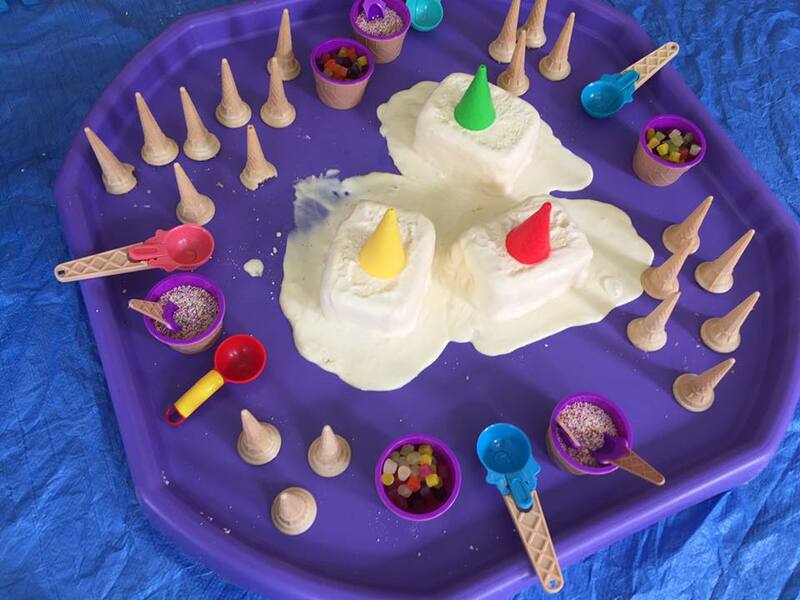 My name is Katie and I run ‘Sensory Sensations’, a sensory and messy play business based in Kent which offers classes, parties and events to 0-5 year olds. I’m a former primary school teacher (having recently left after 10 years of teaching to ‘do mess’ full time) and I have two young daughters (Daisy, aged 4, Indie aged 2). I’ve been running ‘Sensory Sensations’ for 2.5 years and have loved every messy minute! 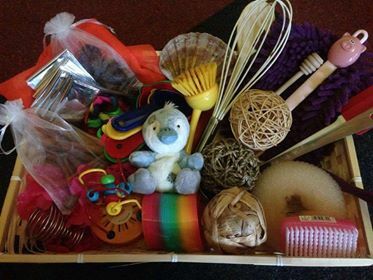 I try and incorporate as many activities as I can that stimulate all the children’s senses, for both babies and toddlers. If you google ‘sensory play’ there are thousands and thousands of activities you could try with your child and it’s a little overwhelming… so what I’ve done here is give an example of an activity for a baby and a toddler for your child’s senses - sight, taste, touch and smell to get you started! Baby - One of the most effective ‘sight’ activities you could do with a baby is mirror play. Babies love looking at human faces, so let them look at their own! Let your baby look at themselves in a mirror either through tummy time or securing one to their cot or activity area. This will help with their focus, tracking movement and recognising features. Touch and name each part of their face (stroke their cheek, lightly pinch their nose etc) they’ll be delighted! 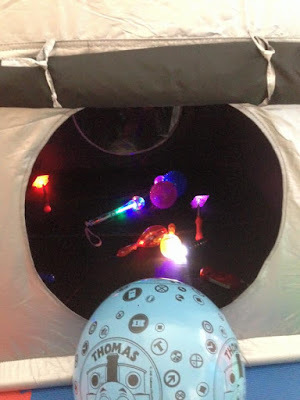 Toddler - A sensory dark den has been one of the most popular additions to my classes and a very worthwhile investment. Add light up toys with different rhythms, shapes and movements and your toddler will have an amazing time with their very own light show! This will support their visual development and you can tailor make it to your child. Change light up toys for fairy lights and fibre optics for a relaxing and calm place for them to go. Ideal for children with additional needs. 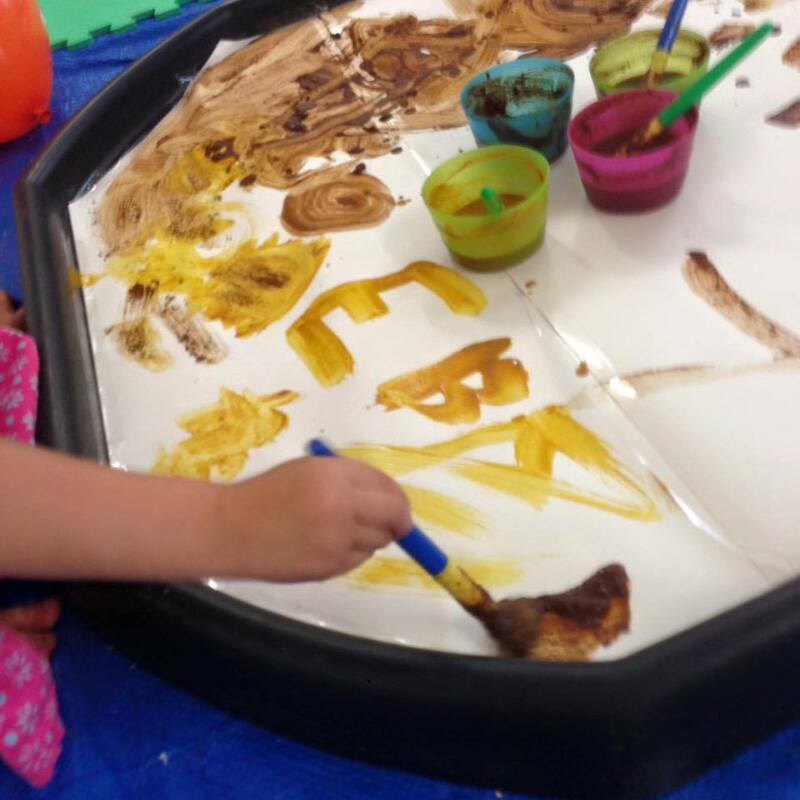 Baby - Why not try edible fingers painting using different fruit? Blend together fruit and yoghurt to create colourful ‘paints’. 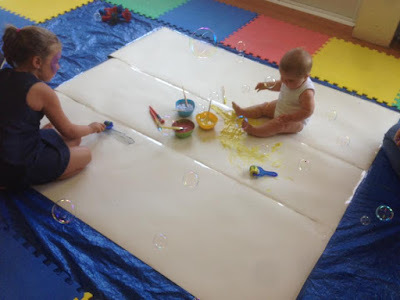 Lay out a large sheet of paper and let your baby explore the paints any way they like! ‘Painting’ their legs, finger painting or eating most of it! Perfect to stimulate their tastes buds. Toddler - Let your toddler taste the rainbow! Cut up lots of different coloured fruits (strawberries, oranges, pineapple, grapes, blueberries etc) arrange in a rainbow and let your child choose what they want to taste. 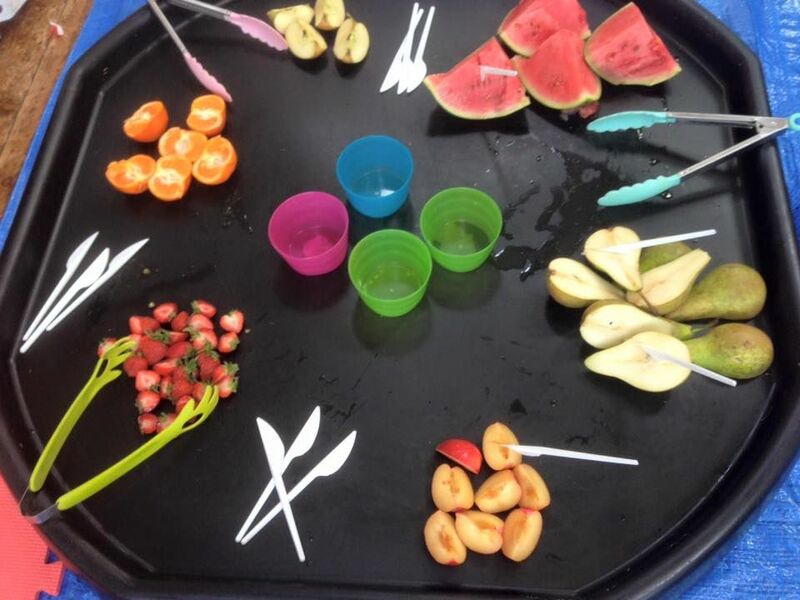 This encourage healthy eating through play, exploring new foods and you can even link it to a story such as ‘The Very Hungry Caterpillar’ for more added discussion. Add plastic cutlery to encourage a new skill. Toddler - Water beads are a versatile sensory ingredient. They look like marbles but feel like slippery, slimy, squashy gel balls. Squash them, bounce them, even freeze them for an added sensory experience. A very popular activity for toddlers! Try an edible alternative - Tapioca Pearls which have a stickier consistency. Baby - A fantastic addition to a treasure basket or just on their own. Why not make your baby some ‘scent pouches’? Sew together two patches of fabric, add scented drops (i.e. peppermint, vanilla, orange zest etc) to some cotton wool, pop this into the ‘pouch’ and sew together. The stronger the scent the better so it lasts longer. Event better if you use different textured fabrics for the pouch for an added sensory experience. Safe for babies to ‘mouth’ and a great way to introduce new scents. 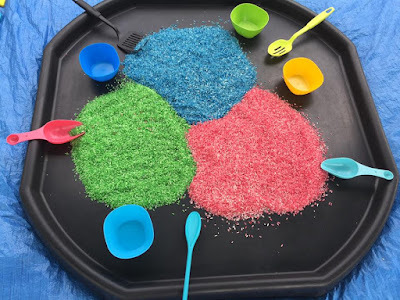 Toddler - ‘Spice’ up a painting activity by using different spices! Nutmeg, ground ginger, cinnamon, cumin… you can use anything really, add a touch of water to create a watery ‘paste’ and let the children explore using either paintbrushes or their fingers! A great mix of smells and colours to create masterpieces! Guaranteed to evoke a lot of discussion too! For more ideas and examples of activities please check out my website (www.sensorysensations.co.uk) and my Facebook page (www.facebook.com/sensorysensationskent).